Maybe your goal isn’t to make a million bucks. You want to change the world or you’re writing because it’s cathartic. Perfect. You can skip the rest of this post. For the rest of you, whether you want to make it big and do the whole morning talk show circuit or just make enough money to quit your day job, read on to see the lies they tell indie writers. We’ve all heard the stories about writers making it big. Stephen King made a killing off of Carrie and went on to become a hugely successful author. He talks about how he got his start in On Writing — which I recommend for all aspiring writers. In the book, he talks about the challenges of being a writer and doesn’t paint an overly glorified picture promising riches and glory if you’ll simply follow his advice. I respect that and trust what he says. 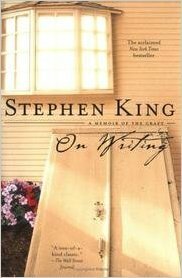 Of course, King is traditionally published — the tools for self-publishing were still decades off when he got his start. Not so with lots of other folks trying to make a quick buck by creating lies they tell indie writers. And, it’s working. I hear every day about some indie writer who lost their savings betting that some charlatan could turn their book into a best seller. It works because they make extravagant promises supported by isolated cases where an indie author make a ton of money. In some reports, the case leaves out important details that had more impact on success than those reported in the case. For instance, Guy Kawasaki, who I love to death and has a great book called APE where he provides great tips based on his own success for both writing and marketing your book. However, he leaves out the part about how he was the Chief Evangelist during the heydays of Apple Computer, which left him with a network that most indie writers could never imagine. So, while he doesn’t promise success by following his advice, the implicit promise is there. Never pay to get published. These are small press shops that take you money and, often, turn out a terrible product that they don’t support and that won’t make the author any money. Instead, look for reputable self-publishing options from Creatspace (print) and KDP Direct (ebook). These are both Amazon, which doesn’t have an unimpeachable record with indie writers, but doesn’t take your money without delivering a decent product. In fact, if you’re like me and submit print-ready copy and art, there is no cost to publish. 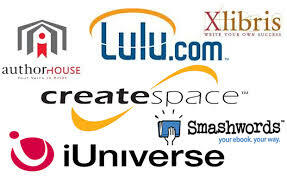 Lulu, Smashwords, and Bookbaby, as well as these other fine self-publishing options, all charge for services, but are reputable exceptions to the pay to publish restriction. Beware of book marketing firms that promise to make you a best seller. Do some research and check around with other authors to see what their experiences are like. An easy first step that I find eliminates most of these bottom feeders is to look at their URL. If the site is a wordpress.com site, run. Fast. That’s because it’s hard to trust a company that isn’t even willing to spend $100 or so to set themselves up with a domain and hosting. Having a WordPress.com site (which is very different from using wordpress on a self-hosted blog) also means they have terrible SEO (search engine optimization). While I won’t bore you with the particulars, that means they can’t generate much traffic in a world where there’s too much competition for attention. No traffic, means no sales. Next, look at the site on both a desktop and mobile. If one or both look like your daughter’s drawing from pre-school, run. Fast. Don’t buy reviews. The exception might be Kirkus, but I even think theirs isn’t worth the cost — feel free to jump on the comments to disagree. On Amazon, you lose big time for bought reviews and don’t even try to game the system with review exchanges. So, what is an indie writer to do instead of spending money to get their book sold? email marketing. 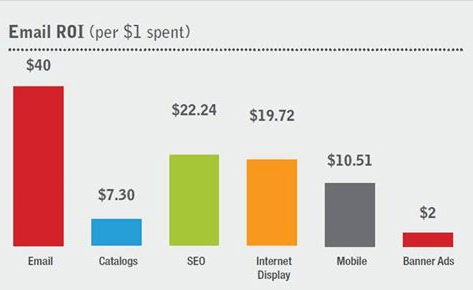 Across all kinds of products, email marketing out performs every other marketing tactic — by a lot. Focus on building your subscriber list by sharing valuable information and inviting folks to subscribe. When you make contacts on Goodreads, at book signings, at networking events, etc, ask them if it’s OK if you add them to your list so you can share what you’re working on. Add Beta readers and reviewers to your list. Tell everyone you know that you wrote a book. One caveat, however. New laws state that you MUST get their permission before adding them. build a community. Join groups on Facebook and Goodreads and support each other. Always remember to pay it forward before asking for something. I’ve made some great connections by reaching out to other indie writers and these connections enrich my life as well as support my publishing goals. Craft a plan and focus on those activities (above) that give you the biggest bang for your buck (or time, as it happens). Plan to give away a bunch of free copies, especially if it’s the first in a series and to spend a little money on advertising (I find Facebook particularly good). Start marketing BEFORE your release date and continue marketing on a consistent basis. I try to set aside one day a week (usually, just a few hours) to do marketing stuff and the rest of my time is devoted to writing, my family, and my day job — I’m a marketing professor in “real” life. So, things are moving at a brisk pace. In addition to attending the Brain to Books Cyber Convention, we have lots of exciting things going on. If you’ve already purchased (or received a gift copy) Buried Ladies, please consider writing an honest review (use the link below). And, if you didn’t like it, please send me specific comments so I can improve the next book. If you don’t have a copy yet, get it on Amazon (FREE on Kindle Unlimited, $2.99 Kindle, $9.99 paperback).